I use the 250gr for my rifle. I like the coating, it lowers my handling of bare lead. Shot several hundred leading up to and in Oklahoma State SASS match. They worked very well. Will be buying them again. For everything but hunting bigger game, why use anything else. Much better than any plated I have ever tried. Rode then hard, to where there should be a coated forcing cone, and visible lead streaks at the end of the barrel, but no such unluck. 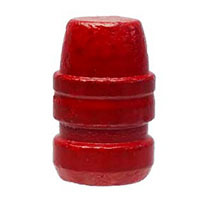 Only a professional bullseye shooter would ever notice any real difference from regular lead, according to the interweb, assuming no effort to specifically tailor the load to the polymer. I am still getting the right load worked out but they are very nice bullets so far. No leading at very high speed. Got to use less powder than what I used on the 230 grain. After I find time to finish the chronograph testing I am sure I will stick to these for a long time. this has been a long time commin. 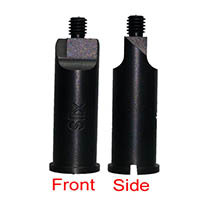 Polymer coated bullets are a high quality product that combines accuracy and easy cleaning. Accuracy is as good as lead or a little better. 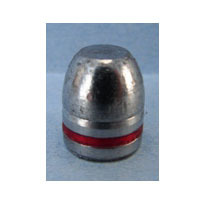 Polymer bullets out performed plated bullets and jacketed bullets in accuracy and velocity with the same powder charge. Purchase a sample pack, you will not be disappointed. Why are you still reading this. Go place your order! I've been loading the 250 grain polymer coated .451's for my 460 Rowland. Awesome round. I've loaded over 2000 of these rounds and they come out of the business end of my 1911 very nice. I definitely recommend Badman Bullets. 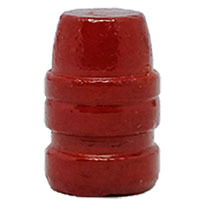 I bought 1000 of these after talking with Patrick about rounds for my .460 Rowland. These are top notch bullets and the load data Patrick provided was spot on. I worked up to the load provided by Patrick and went .2 grains over to see how it shot just below max. Needless to say, the load he suggested was the load that shot the most accurate. I will be ordering many more for years to come. Badman has become my go to supplier for all my cast bullet needs. I don't even bother shopping around anymore. I loaded the 250 grn polymer coated bullets for a 460 Rowland and they have performed flawlessly. My buddies and I cycled them thru a M&P conversion a 1911 and a Glock. No failures no misfeeds.